TIME TO BREAK SOME EGGS! One might wonder what one would be destroying in the beautiful, artistic world of photography. Fear of failure. laziness. Procrastination. Worry about what others think. And a whole host of other self-imposed obstacles that man puts in front of himself, or herself, that prevents them from pursuing one’s dream and one’s desires. I don’t know how it is for others, but I struggle with these things. There are times everyday where I ask myself “Why am I doing this? I could just spend my time going to the gym, reading, watching NCIS reruns, play computer games. What am I doing?” I feel like Hub in “Secondhand Lions.” I want to throw away the pitch for and tell everyone else they can live to be a hundred. But I have set my feet on the path I want to go. While on that path, I daily need to ninja kick all those fears and obstacles right in the ….throat. A man needs to have value in this life. If I can deliver to a happy couple few images that they will cherish forever, then that is my value to this world. And if I can get paid for it, well, that’s a value to me. Win-win! But this saying has another, more subtle, less violent, less ninja, and more of a Diner’s, Drive-ins and Dives message to me. It means it is time to cook. I just finished a class today called Wedding Crashers taught by Diana Steffen (www.dianaelizabeth.com) This class filled in the majority of the knowledge gaps that I had about the business of wedding photography. I now feel like I am a chef. I have ingredients, I have a recipe, and I want to make an omelette. But if I don’t pick up the egg and crack them open, the omlette does not get made. It stays in my head, it stays on the recipe card. I know I can cook the omelette, I just got to pick up that egg. What this is all about is that I have my 1st wedding shoot. Every photographer, from the lowest priced photographer to the $10,000 minimum package photographer, had at one point in time a first shoot. I wonder how they felt before that shoot, if they felt the same things I am feeling now. I know the more a person does something, the more they wonder why they were ever apprehensive about doing it in the first place. So that is where I am at the moment. I have had some terrific classes taught by Diana. I have done a ton of research on my own. I believe I am ready. And if I believed otherwise, no one in the world is going to know that. Jasmine Star says posts are always better with pictures. Here are picture of one of the oddest sights I have ever seen. 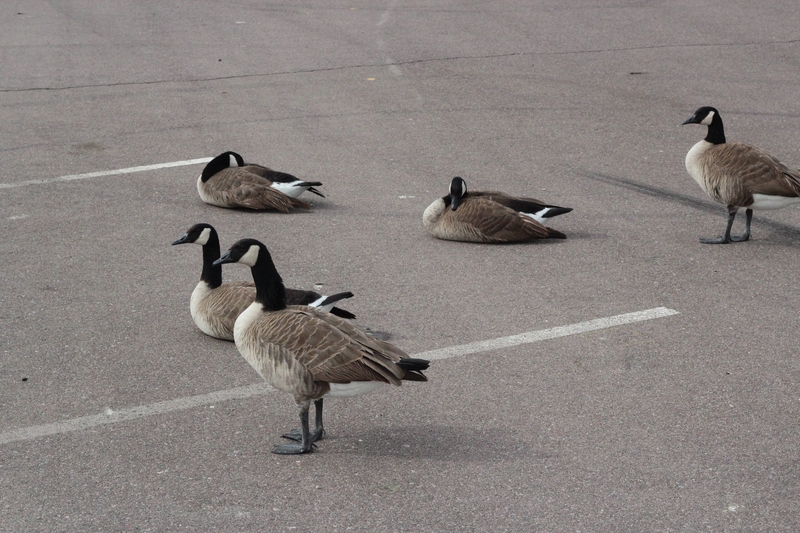 This photograph was taken at the parking lot of Turf Paradise. 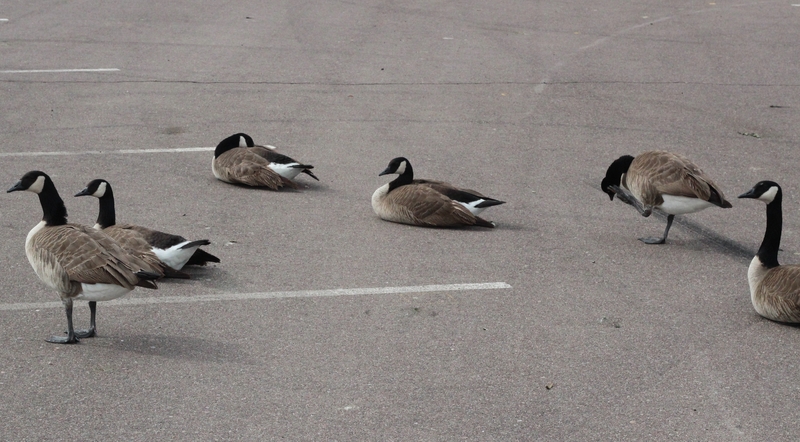 Sixty or so geese were just taking a little rest in the parking lot on their way south. Guess they thought it was a big cement pond. I got as close as I could, but something told me that if 60 geese got spooked and flew my direction, I would be in a bit of trouble.